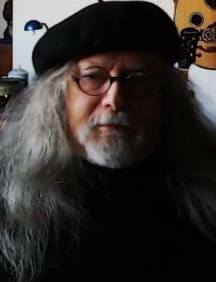 Astrologer Peter James Clark was born in London, England and now resides on Vancouver Island in British Columbia. He began his metaphysical and spiritual studies at the age of 14 and has more than 50 years experience in the Arts. He is internationally respected as a Master Astrologer working in the Ancient and Classical Tradition. He’s the current President of the International Society of Classical Astrologers (ISCA) , Member of the British Astronomical Society and Associate Member of the Society of Astrologers. Prof. Clark is a scholar of the European Renaissance who conducted university courses on the literature and philosophy of the period. He speaks English, French, Spanish and is familiar with Greek and Latin. He is currently studying Classical Arabic. He has provided scholarly editions of Pico della Mirandola and Claudius Ptolemy for students of astrology while authoring scores of astrological articles, most recently featured in Mountain Astrologer. and Celestial Vibes. His interests are not merely academic. They are integral to his life as an Astrologer and Shaman in the Druidic tradition of his Anglo-Welsh heritage. To request a reading, please see the list of options available.